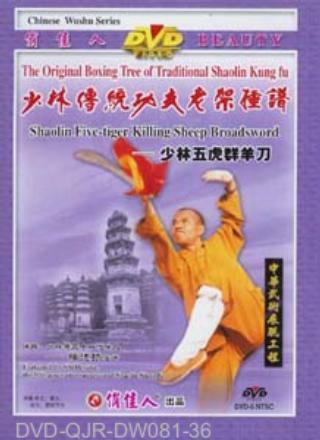 Shaolin Five Tigers and Flock Broadsword (Shaolin Wu Hu Qun Yang Dao) is one of the most common Shaolin weapons. Its movements are agile and brave, swift and fierce, powerfully violent and cut-throat, difficult to defend and hiding with profound meanings. It features with distinct attacking and defending motions with strong combatability. This is an excellent routine that is easy to learn and understand.